New hedges should be pruned from an early stage to establish a good shape. 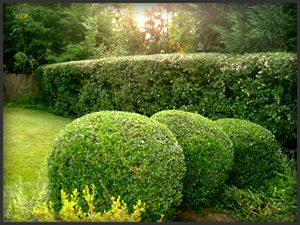 The amount you prune back depends on the type of hedge. 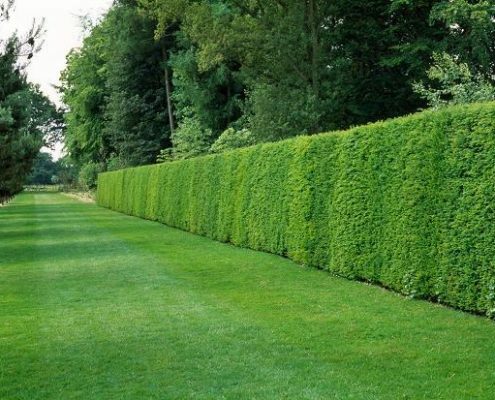 Start shaping already from the first year, and later years a hedge should be a bit tapered ensuring the lower part will get the sunlight it needs for healthy growth. So regular maintenance will ensure your hedge keeps healthy and nice. If you’re experienced you can cut a hedge by eye, but it can be a good idea to set your lines with lengths of string taut between canes. Do not cut conifers after the end of August.